To improve the nutritional status of preschool children 0-6 years of age group. To achieve effective coordination of policy and implementation in various departments to promote child development. The main component of ICDS is non formal pre-school education (PSE) of children under 3-6, is directed towards providing and ensuring a natural, joyful and stimulating environment, with emphasis on necessary inputs for optimal growth and development. The services under ICDS are carried up in the Anganwadi centre, this setup is on per 40 children in village number of ICDS centre depends on number of children. This is also the most joyful play-way daily activity, visibly sustained for three hours a day. It brings and keeps young children at the anganwadi centre – an activity that motivates parents and communities. PSE, as envisaged in the ICDS, focuses on total development of the child, in the age up to six years, mainly from the underprivileged groups. It also contributes in universalization of primary education, by providing child the necessary preparation for primary schooling and offering substitute care to younger siblings, thus freeing the older ones – especially girls – to attend school and increase enrollment rate. This is central government sponsored scheme which focus on providing Rs. 200/- per month to children between 0-5 with disability of 40% on the basis of health/ fitness certificate. 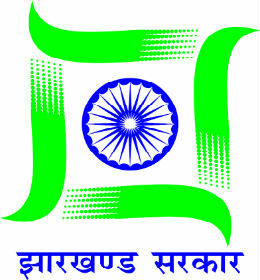 The target beneficiary under this scheme for the financial year 2012-13 is 1897 and the allotment is Rs. 7000000/-. From June 2012 the promotion amount of Rs. 200 is upgraded to Rs. 400/- This amount is credited to bank account of each beneficiary. Till September 2012 Total expense is 17.5 Lakh and the total beneficiary is 1439. MMKY is a progressive scheme of state government that focus on giving financial assistance of Rs. 15000.00 to BPL family for the marriage of girl. The age of bride and groom has to be more than 18 and 21 respectively and marriage has to be in same financial year. The beneficiary has to be residential of same district. The targeted beneficiary for this financial year is 215 and the financial allotment is 3225000/- which has been further allotted to all blocks. There is no expense reported till September 2012. This scholarship is for government school student with disability of more than 40%. Government provides Rs. 50/- per month to student of class 1st to 8th and Rs. 250/- to student of 9th and 10th. Total 2.75 Lakh is allotted to the district but there is no expense reported till September 2012. She has to be resident of the same district. She should not be employee of any government or non government organization. This is a state government sponsored scheme that focuses on providing protection, education and secure future for the girl child born in a BPL family (Income should not exceed). Institutional delivery is the basis criteria to avail this benefit. Under this first or second girl child born through institutional delivery gets total amount of Rs. 30000/- till she reaches the age of 05, this amount is credited to the post office account of beneficiary.